Headaches are one of the most common complaints people may experience, some types of headache occur only in women. These can result from fluctuating hormone levels during the menstrual cycle. By balancing fluctuating hormones these types of headaches will be reduced and in some cases eliminated. 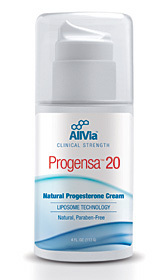 Bioidentical progesterone cream added prior to ovulation will keep estrogen levels from getting too high which is what contributes to these types of headaches. Petadolex contains butterbur which has been shown to support cranial blood vessels and reduce migraine, hormonal & premenstrual headaches.